Update: Readers have voice concerned over this too-good-to-be-true deal. May want to proceed with caution. Either that, or shell out the $2 and hope that some day your case arrives. Update 2: This is what one of our readers received – it’s a Flip cover with the window piece completely missing. Talk about a scam. The Samsung Galaxy S4 already has a massive accessory collection at its fingertips from a variety of accessory makers, thanks to Samsung pushing a single design across the globe. But if the products from 3rd party accessory companies aren’t your cup of tea, and you prefer those made by Samsung, we have a couple of deals for you today. Through Amazon, two sellers by the names of TopEDepot are GlobalElec are selling both the S View Flip Cover and regular Flip Cover for under $10 a piece. The S View Flip cover in black can be had for $9.40, which is around 85% off the suggested retail price of $59.99. The regular Flip Cover is available for as little as $2.21 (in black), a 95% discount from the $39.99 retail price. The prices vary depending on the color you choose, but the if you want the lowest price, go with the black accessories. If you wanted something a little more wild like green, you can still grab one for under $10. Seriously, talk about good deals. The seller doesn’t offer Amazon Prime, so shipping may take a while. In fact, during checkout I’m not seeing any shipping costs, only that it will take anywhere from 17-28 days. That’s weird. 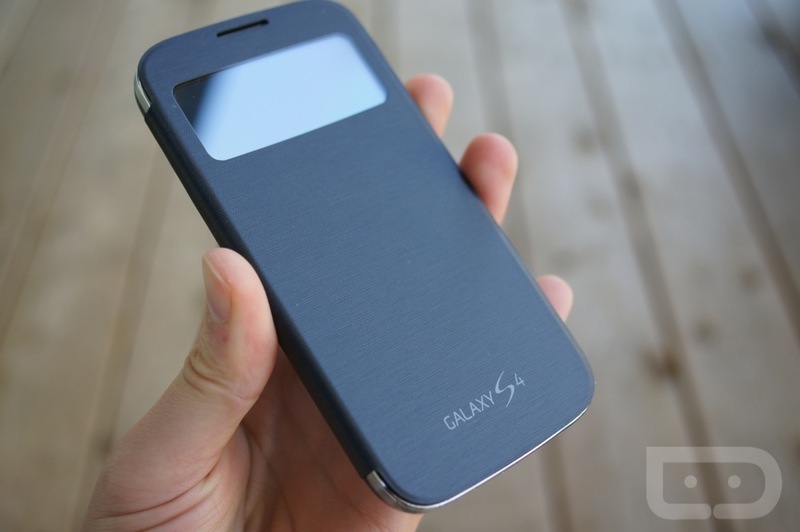 We took a quick look at the S View Flip Cover during launch week of the Galaxy S4 and liked it for the most part. It doesn’t offer a ton of protection like a typical TPU case would though, outside of helping protect that big beautiful 1080p Super AMOLED display.